I want to introduce you to one of my favourite moisturisers at the moment. 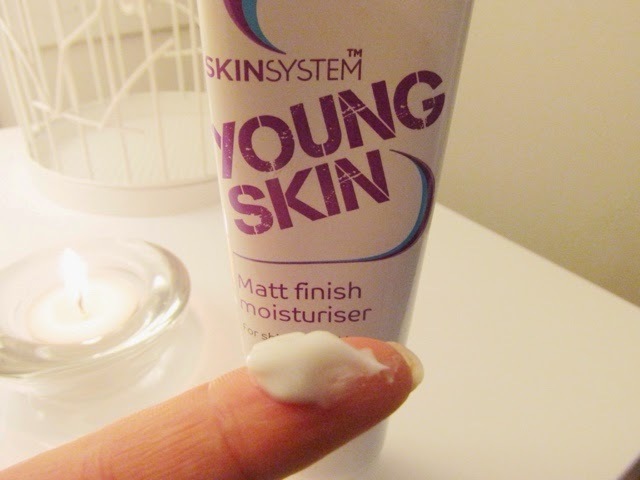 Lately I've been using Skin System's Young Skin Matte finish moisturiser, this is an Asda brand which I picked up after my sister tried a Tesco Skin Therapy Moisturiser which included Tea Tree that cleared my skin better than any other moisturiser I had used previously. What I really like about this moisturiser is that it soaks in really quickly into my skin so I can apply it and then crack on with applying my make up. I've actually found it makes quite a good base for make up. This moisturiser cost £1 from Asda, for that price it's worth a go right? However it's not a miracle worker and please remember that moisturisers take atleast a month to see a difference, you can read about why here. Are you a fan of budget beauty? It is such an awesome moisturiser! Give it a try! You'd be so suprised at how fabulous it is!